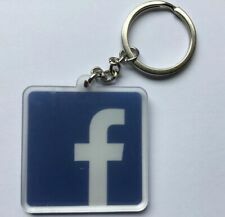 Get yourself a Fun FACEBOOK Keyring or treat a friend, colleague or loved one who is always on their social media! Whether you are always on FACEBOOK or know of someone else who’s addicted to it, this is the Perfect Funny Birthday or Occasion gift! Also available in Twitter, WhatsApp and YouTube versions. Any questions don’t hesitate to ask! Sent Royal Mail 1st Class! PayPal only Please! FuXen DIESEL Dual SIM Phone. Features of Fuxen Diesel:-. Fuxen Diesel Specifications. Dual sim cards, dual standby. Micro SD card ( T-FLASH card), max 16GB. 1 Year Warranty on the Phone. Audio Jack. USB Micro 5Pin. The phone holder’s swivel ball head also allows the phone to be positioned at any angle. This phone floor stand can also be used to take selfies on the red carpet and other events. Unit 6 Duck Farm Court.